Methane is often produced by living things, and it doesn’t persist long in atmospheres because it is quickly broken down by solar radiation. Yet satellites and rovers have periodically detected surges in atmospheric methane concentration on Mars, raising the question: where is that gas coming from? It might have been created by a geological process known as serpentinization, which requires both heat and liquid water. Or it could be a product of life — specifically methanogens, microbes that release methane as a waste product. Methanogens thrive in places lacking oxygen, such as rocks deep underground and the digestive tracts of animals. Iron oxides cause the blood-like coloring of this waterfall in Antarctica. 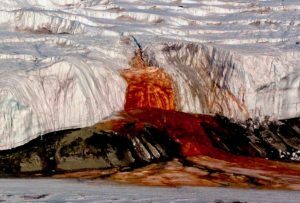 Blood Falls is an outflow of an iron oxide-tainted plume of saltwater, flowing from the tongue of Taylor Glacier onto the ice-covered surface of West Lake Bonney in the Taylor Valley of the McMurdo Dry Valleys in Victoria Land, East Antarctica. Iron-rich hypersaline water sporadically emerges from small fissures in the ice cascades. The saltwater source is a subglacial pool of unknown size overlain by about 400 metres (1,300 ft) of ice several kilometers from its tiny outlet at Blood Falls. The reddish deposit was found in 1911 by the Australian geologist Griffith Taylor, who first explored the valley that bears his name. 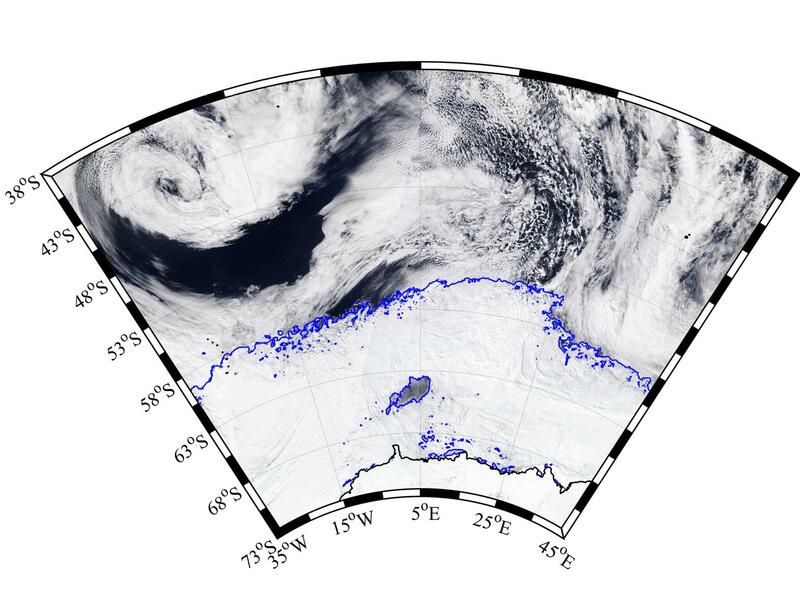 The Antarctica pioneers first attributed the red color to red algae, but later it was proven to be due to iron oxides. Surely a sight to see! Given the remote location of Blood Falls, though, it’s unlikely to appeal as a tourist destination to any but the hardiest and most well-heeled of travelers. 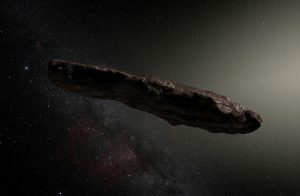 “We’ve never seen anything like this before.” That’s how University of Hawaii astronomer Rob Weryk described the unknown object hurtling through our solar system.1 An object a quarter of a mile long and moving startlingly fast – faster than any comet or asteroid seen before, about 55 miles per second. An object with an open-ended trajectory – meaning that it came from somewhere outside our solar system. The first such object ever observed. “The possibility that this object is, in fact, an artificial object — that it is a spaceship, essentially — is a remote possibility,” Andrew Siemion, a member of the initiative and director of Berkeley’s Search for Extraterrestrial Intelligence Research Center, told The Washington Post on Monday. […T]hey’ll be checking on that hypothesis by scanning the object for possible artificial transmitters through a radio telescope at West Virginia’s Green Bank Observatory. As unlikely as this possibility may be, it certainly seems worth looking into. Before our extrasolar visitor leaves our system just as quickly as it entered, bound for distant reaches that for now we can only dream of. [T]wo neuroscientists at the University of Rochester say they have managed to introduce information directly into the premotor cortex of monkeys. The researchers published the results of the experiment on Thursday in the journal Neuron. Although the research is preliminary, carried out in just two monkeys, the researchers speculated that further research might lead to brain implants for people with strokes. See the full article here; the scientific results are available here. 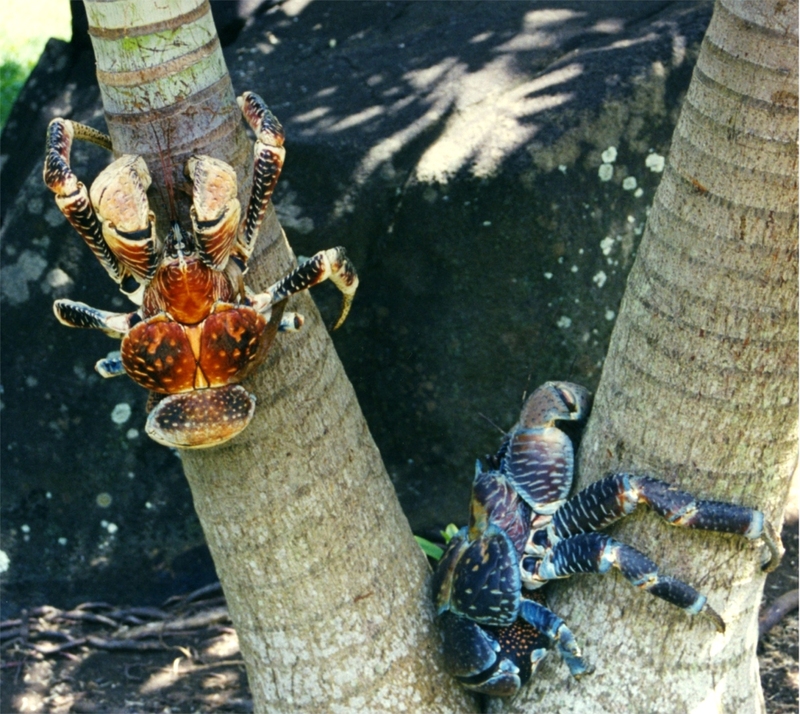 Coconut crabs scale palm trees. terrestrial arthropod (and thought to represent the upper size limit for land-dwelling creatures supported by exoskeletons), coconut crabs can grow to more than 3 feet in length. They can climb trees and crack coconuts. Their claws are as strong as a lion’s jaws. They can live for up to 60 years. And now, researchers have evidence that their diet isn’t limited to fruits, nuts, and scavenged carrion: they sometimes engage in predation, as well. It has long been known that the crabs will feed on meat, when they encounter it; in a 2007 experiment, coconut crabs made short work of a small pig carcass, quickly stripping its flesh and scattering the bones. Persistent rumors suggest that a dead or wounded Amelia Earhart may have suffered a similar fate. Researchers now have direct evidence, though, that coconut crabs will not only consume dead animals they come across, they will sometimes go on the hunt themselves. [N]ow, finally, we have video evidence that the crabs — thousands strong on one island — can scale trees and hunt full-grown birds in their nests. […] After about a month on the island [in the Chagos archipelago], in February of 2016, [Dartmouth biologist Mark Laidre] investigated a giant crab’s underground lair. “Deep inside the crab’s burrow was the carcass of a nearly full-grown red-footed booby,” he wrote. This was Laidre’s first sign that the stories might be true, that giant crabs really were hunting birds. He had his proof a month later. You can see some footage from this encounter in the video below. 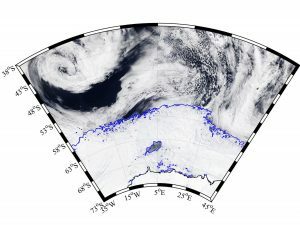 An image of the hole in the ice (the blue outline within the icy area). An enormous black blotch known as a “coronal hole” has been spotted spreading across the sun. Coronal holes, according to Wikipedia, are “areas where the Sun’s corona is darker, and colder, and has lower-density plasma than average because there is lower energy and gas levels.” These holes can allow high-density plasma to escape to space, which can disrupt satellite communications here on Earth. The size and number of coronal holes peak and wane with the solar cycle, which spans 11 years. We’ll see what happens with this one. You can read more at UniverseToday.com. 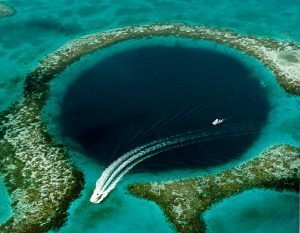 It’s located near the Xisha Islands (also known as the Paracel Islands) in the South China Sea. According to Xinhua News, Dragon Hole, or Longdong, is 987 feet (300.89 meters) deep, far deeper than the previous record holder, Dean’s Blue Hole in the Bahamas.